There are many perks living in the big city. Jakarta, The capital city of Indonesia also serves many advantages for people living in Jakarta. You will have no problem to decide on what to eat in Jakarta or what famous places to visit in Jakarta. It is truly one stop living paradise for anyone living there. Moreover, it brings a quality service with International standard that is still quite affordable. There are many luxurious malls in Jakarta, however, it comes at less expensive prices. There are also many Spas that are not only in the big five-star hotel, but you can also find them in the small beauty Indonesian spa center. Having spa treatment in Jakarta is never a need to splurge. There are many spas with traditional Indonesian treatment that will indulge anyone that ever try them. Relaxing by going to spa treatment can be considered a luxury that not everyone can have. However, it is not the case in Jakarta, Indonesia. You can have a full body treatment, an instant soothing massage, or moreover the relaxing Indonesian spa treatment. You can get a proper pampering no matter how deep is your wallet or how many hours you can spare. It is very safe to live in Jakarta. It offers safe street and reliable entertainment and health treatment. Whenever you need a good massage, with whatever your expectation may be, here is some best massage place in Jakarta. If you desire quality and cleanliness, Bersih Sehat is the place to go. This spa treatment has many branches in Jakarta. You can find it in Pondok Indah, Sunter, Taman Anggrek, Cikini or Jalan Jaksa and other places. Many of Bersih Sehat also offer mani-pedi, cut & blow dry, and sauna. If you are looking for a clean, family massage, this place is the best value-for-money massage parlors in Jakarta. Roger’s is a well-known salon for incredible haircuts and quality hair extensions. However, the place added their value for a spa treatment. Customers can come here for beauty treatment and also relaxations. The place offers signature massage that attracts people to spend their day here. It is a great place for a modern message at an affordable price. The place itself is quite modern with a modest ambiance. Martha Tilaar is one of the most popular Indonesian cosmetics brands. It highlights their dedication of preserving Indonesia’s traditional beauty heritage and use of local ingredients. The famous brand also provides relaxation spa treatment. Martha Tilaar Spa has around 40 branches in Indonesia and also throughout Southeast Asia. it is the largest spa chain in Indonesia. You can find this traditional massage treatment in Pondok Indah and Wahid Hasyim. Anyone that comes to this place will certainly experience a relaxing massage treatment with various rich Indonesian herbs. The Martha Tilaar gives a fancy luxurious treatment among another spa in Jakarta. Jakarta busy life can make anyone tired and anxious. A massage in a spa can be relaxing for the body and soul. Bale-Bale spa is famous among regular spa in Jakarta. Its affordable price tag and all-woman policy give a safe feeling for most people, particularly woman. It gives all the guests at complete ease and spends an entire day having treatment in this spa. Their most famous treatment is the traditional massage and lulur or body scrubbing using traditional lulur mixture. This special Indonesian heritage relaxation also enhanced with other beauty treatment. You can get your hair done, by using salon facilities like blow drying and cream bath. Moreover, they have an affordable price for a luxurious treatment, Bale-Bale is particularly crowded during the weekends, so come on the weekdays or book days in advance. Taman Sari Royal Heritage really serves as their name hold for. This spa gives premium beauty treatment based on Indonesian philosophy. It takes its inspiration from the charismatic Keaton tradition of Javanese beauty treatments with a touch of modern technology. Visitors can pamper themselves just as the Javanese princesses did the past. Their most famous massages treatment includes The Taman Sari’s signature treatments such as the 2,5 hour Javanese Royal Experience. For total relaxation, a pampering visitor can have The 3 hours Seven Flower Ritual treatment. This spa is really famous among brides to be and their family, it gives exquisite pampering. 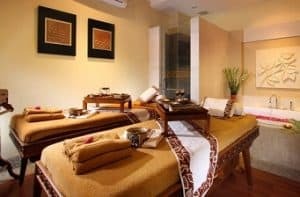 For a unique traditional treatment, they also serve Jamu massage using the famous Javanese herbal potion as a detoxifying medium. For anyone dreaming of a spa getaway, the Keraton Spa holds a special place for those spa lovers. It offers one of the most luxurious Javanese inspired massage traditional treatments you can find in Jakarta. This premium spa you can find it in the wide spacious Keraton Spa store that offers an ideal retreat from the hectic pace of the city. 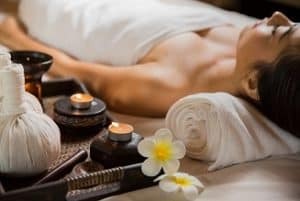 Their famous well-known massage includes the signature 2 hours The Keraton Royal massage and the calming Parangkusumo massage. It also gives packages for couple and family, such as The Sido Asih Couple Massage for couples and the detoxifying Sidur Massage. 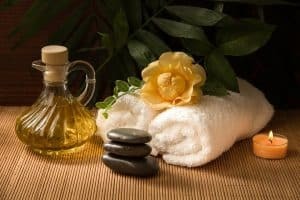 You can have any message that you desire here and experience the refreshing combination of gentle stretches and deep tissue massage with the Gurda massage. This spa is another favorite place for having relaxing massages. It has a full range of traditional Indonesian body treatments from head to toe. Their services include body massage, body scrubs, facials, and waxing. It also serves single, couple and family treatment. A romantic and relaxing couple retreat packages will send you and your loved one to complete relaxation with traditional Javanese ambiance. It is very easy to find relax time in Jakarta. You can cool down and enjoy their various food in Jakarta such as vegetarian food, traditional food or some sweet treats. You can entertain yourself in various famous places in Jakarta and sprung and go crazy shopping in their numerous luxurious Mall. Moreover, you can immerse in total relaxation after a long day doing business or just having fun in Jakarta.